The incumbent Doctor can choose between a fee split model or outright practice ownership. Working with a team of supportive staff, you will provide services to the local hospital as part of a shared roster and have experience in both family and emergency medicine. The successful applicant will have the option of providing additional services in the nearby town of Pinnaroo. Excellent remuneration and other generous incentives are included in the package. The practice strives towards excellence in the provision of holistic care to all patients in the catchment area and is committed to continuing education for all staff to enable the provision of excellence in service to these communities. The practice incorporates all areas of general health including Emergency Medicine, Geriatrics, Mental Health and Radiography. The GP is an independent practitioner who works as part of the primary health care team and is supported by a Practice Manager, a reception team and a practice nurse. The local Hospital provides accident and emergency, acute, palliative, aged care, radiography and pathology services. 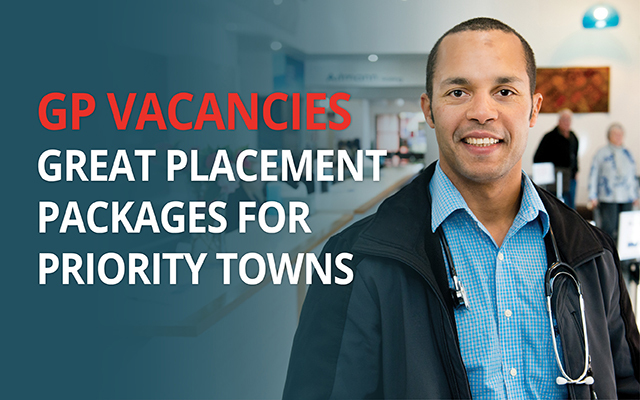 Visiting Specialists to the area include a Dietitian, Social Worker, Psychiatrist, Podiatrist, Optometrist, Speech Pathologist, Occupation Therapist, Audio metrist, Child and Youth Health Worker, Asthma Educator, Cardiologist, Endocrinologist/Physician and Radiographer. Local service providers include Diabetes / Asthma Educator, Social Worker, Cancer Support and Continence Nurse. Lameroo is a town in the Mallee region of South Australia and is located on the Mallee Highway about 40 km west of the Victorian border, or 210 km east of Adelaide. Primarily a service town for the surrounding rural areas, it has a population of approximately 850 people. Lameroo is surrounded by wilderness and nature parks and offers a broad range of local amenities.